The Abbot of Tubten Chokhor Ling Monastery in Golog, Tibet, Hungkar Dorje Rinpoche was born into a nomadic family of great and realized yogins. Rinpoche was recognized early in his life by such Buddhist masters as H.H. 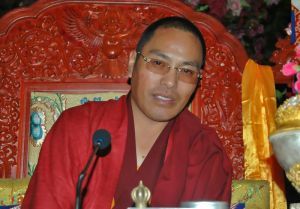 Orgyen Kusum Lingpa, H.H. Dodrupchen Rinpoche, Penor Rinpoche, and later, by His Holiness the Dalai Lama, as the reincarnation of Do Khyentse Yeshe Dorje, the mind emanation of Jigme Lingpa. He has trained extensively in Buddhist studies at a monastic university in India and in an Institute for Tulkus in Beijing, and has initiated numerous charitable projects for better education and cultural and environmental preservation in Tibet. He teaches with incredible humility and lucidity. Tulku Sherdor is our Executive Director. 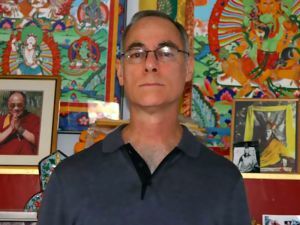 Born in Montreal, Canada in 1961, he began studying Buddhist Insight meditation from a very young age, and met his principal teacher, Tulku Urgyen Rinpoche, in Nepal in 1981. He was fortunate to study with other pre-eminent masters of the 20th century, including His Holiness Dilgo Khyentse Rinpoche, Khetsun Zangpo Rinpoche, Dung Say Trinley Norbu Rinpoche, Chokyi Nyima Rinpoche, Kalu Rinpoche, and many others. Ivy Loo is our Treasurer. She is also a student of Namkhai Norbu Rinpoche, Lama Wangdor, Tenzin Wangyal Rinpoche and His Holiness Kusum Lingpa. Born and raised in Singapore, Ivy moved to California in 2000, where she worked on Special Events and Fundraising for a non-profit organization. 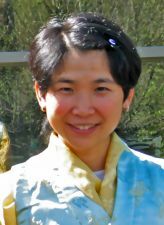 Ivy came to New York in 2003 to set up Blazing Wisdom Institute with Tulku Sherdor. Howard Stahl, LCSW, is a graduate of U.C. Berkeley. He helped pioneer (1972-1994) the development of community-based care for the aged and hospice care for the critically ill and people with AIDS in the San Francisco Bay Area. Trained by Elizabeth Kubler-Ross, Howard sat on the original board of The Shanti Project, and spent two decades as an educator and frequent lecturer in Hospitals and Universities throughout California. He now focuses on the philanthropic work of preserving Tibetan culture and on issues of ecology and environmentalism in Tibet. 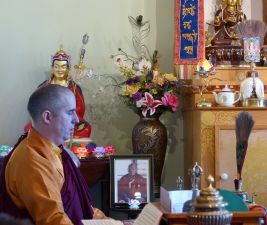 Howard has played an active role in The Bay Area Buddhist Community since 1968. Florence McCambridge Ali graduated from Queensborough College, Flushing, NY, with an R.N. Degree in 1972, and practiced in the fields of Obstetrics, Neonatal ICU, and Pediatrics for 20 years. 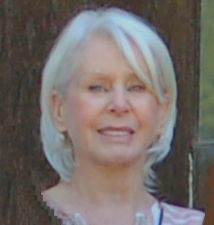 She also served on the Board of Dutchess County Medical Auxiliary for 25 years, holding nearly every position including President. 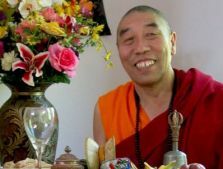 After attending classes with Tulku Sherdor at the Lifetime Learning Institute at Bard College some years ago, she organized, advertised and managed a number of programs for BWI at The Tibetan Center in Kingston, NY.